Our main goal is your satisfaction. As your supplier for hardwood, plywood and mouldings, Cherokee Wood stocks a wide assortment of both domestic and exotic woods, from Sugar Pine and Maple to Rosewood and Mahogany. 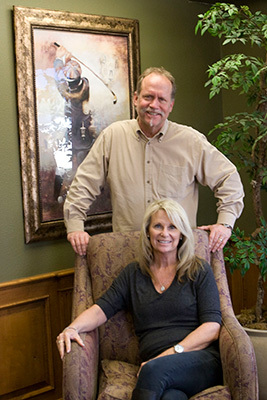 We are dedicated to exceeding our customers’ expectations by providing the lost art of personal family style service. For over 25 years, Cherokee Wood has been a leading hardwood and lumber supplier for cabinet manufacturers, moulding installers, contractors and homeowners alike. Sitting on 5 acres of land in the beautiful city of Upland, Cherokee Wood Products services all the major counties south of Santa Barbara as well as Phoenix and Las Vegas. Since 1991, Cherokee Wood Products, Inc. has provided its customers with the highest quality in wood, milling services and customized orders. We take great pride in being a service oriented family of employees, not just another wood supplying company. Our on-site modern mill facility allows us to produce quality mouldings and millwork for your woodworking needs. Although we put out a great product, our focus on quality comes second to our customers. Every day at Cherokee Wood, we make sure you are getting the highest quality in service and products, maintaining a foundation of integrity and loyalty to every customer. Whether you’re looking for hardwood lumber, plywood, mouldings or hardwood flooring, Cherokee Wood Products, Inc is the dedicated and customer-focused company you’ve been hoping to find.